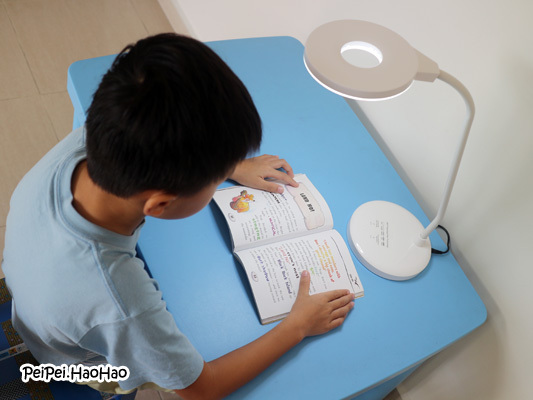 PeiPei.HaoHao - Singapore Parenting, Lifestyle, Travel Blog: 3M Polarizing Light LED P1610 - Reasons for Loving it! 3M Polarizing Light LED P1610 - Reasons for Loving it! As our children are now in primary school, they spend more of their time to do their homework and read, therefore it is important to ensure that there is sufficient lighting to protect their eyesight. We are thankful to receive 3M Polarizing Light LED P1610 for use and review! When I took 3M Polarizing Light LED P1610 out from the packaging, I immediately fell in love with its modern and minimalist design. The stylish design blends perfectly with our house decor. The minimalist design does not have any protruding buttons. Instead, it has three touch buttons strategically located on the base. The selection LED brightness and colour temperature can be done easily by tapping the touch buttons gently. The lamp is so light that our children can bring it in and out of their study room, this provides flexibility to where they want to read their books. 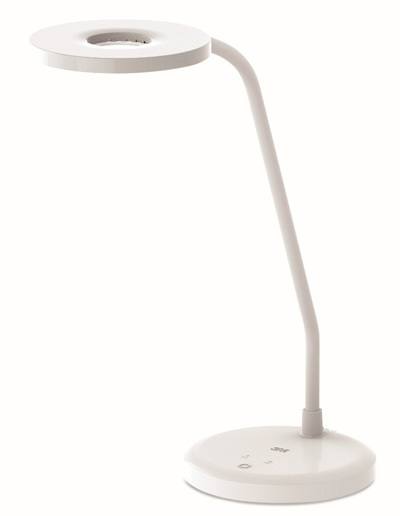 On top of portability, the free angle control makes it easy to adjust the lamp position. One word to describe the physical design of 3M Polarizing Light LED P1610 - flexible! I recalled how irritated I felt when a light source cast multiple shadows on the book that I was reading. We do not face such problem with 3M Polarizing Light LED P1610, thanks to 3M air-guide technology, which eliminates multiple shadows. In addition, 3M Polarizing Filter reduces glare effectively, it makes reading more comfortable. Our verdict of 3M Polarizing Light LED P1610? Overall, we are impressed by its performance and design. Our eyesight is precious, in addition to having good eye care habits, it is also worthwhile to get a good task lamp like 3M Polarizing Light LED P1610 to protect our eyes! Disclaimer: We received a 3M Polarizing Light LED P1610 for review purpose. No monetary compensation was received. All opinions and photos are mine, unless otherwise stated.